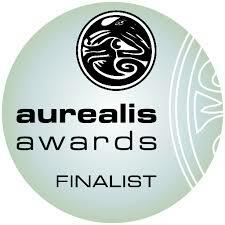 The shortlist for the Aurealis Awards was released into the wild this morning and I’m delighted to see that “No Good Deed” (New Fears 1, Titan Books) is on the list for Best Horror Novella and “The Little Mermaid, in Passing” (Review of Australian Fiction Vol 22 Issue 1) is on the list for Best Fantasy Short Story. And so many friends and colleagues on there too! Lisa L. Hannett, JS Breukelaar, Alan Baxter, Kaaron Warren, Garth Nix, Clare G. Coleman, Maria Lewis, Tansy Rayner Roberts, Cat Sparks, Jonathan Strahan, Thoraiya Dyer, Margo Lanagan, Amie Kaufman, Peter M. Ball, Shauna O’Meara, Kate Forsyth & Kim Wilkins, Aiki Flinthart … if I’ve missed you, please forgive me! The full list, she is here. This entry was posted in News and tagged Aiki Flinthart, Alan Baxter, Amie Kaufman, Australian Review of Fiction, cat sparks, Clare G. Coleman, Garth Nix, jonathan strahan, JS Breukelaar, kaaron warren, Kate Forsyth & Kim Wilkins, Kathryn Gossow, Lisa L Hannett, Liz Grzyb & Talie Helene, margo lanagan, Maria Lewis, peter m ball, Shauna O'Meara, tansy rayner roberts, Thoraiya Dyer, Titan Books. Bookmark the permalink.